The 828es is equally well-suited for studio and stage, with or without a computer. As an interface or standalone mixer, the 828es provides 28 separate inputs and 32 separate outputs, including two XLR/TRS “combo” mic/guitar inputs, dedicated main outs on XLRs, and two independent front-panel headphone outs. Connect all of your studio gear, including microphones, guitars, synths, keyboards, drum machines and effects processors. Record, monitor, route and process all of these live inputs with no latency and no processor strain on your computer. Extensive routing features let you patch ins to outs, or split inputs to multiple destinations. Powerful DSP delivers large console style mixing with 48 channels, 12 stereo busses, and 32-bit floating point effects processing. Add Classic Reverb with lengths up to 60 seconds. Further sculpt your sound with 4-band parametric EQ meticulously modeled after British analog console EQs. Apply conventional compression or the Leveler™, an accurate model of the legendary LA-2A™ optical compressor that provides vintage, musical automatic gain control. Take control of your recording sessions with the built-in talkback mic and front-panel talk button. Connect two sets of speakers and check your mixes instantly with front-panel A/B speaker select buttons. Analyze and scope your audio with advanced diagnostic tools, including a full-screen real-time FFT display, spectrogram “waterfall” display, full-featured oscilloscope, X-Y plot, and linear/polar phase graph. 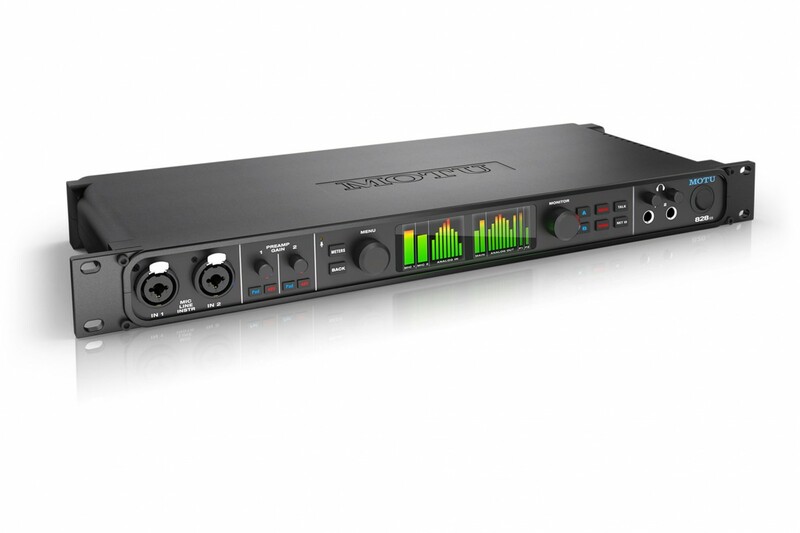 After recording and mixing in the studio, unplug the 828es from the computer and take it on stage for operation as a stand-alone mixer with effects. Control everything over Wi-Fi from your favorite web browser running on your laptop, tablet and smartphone. 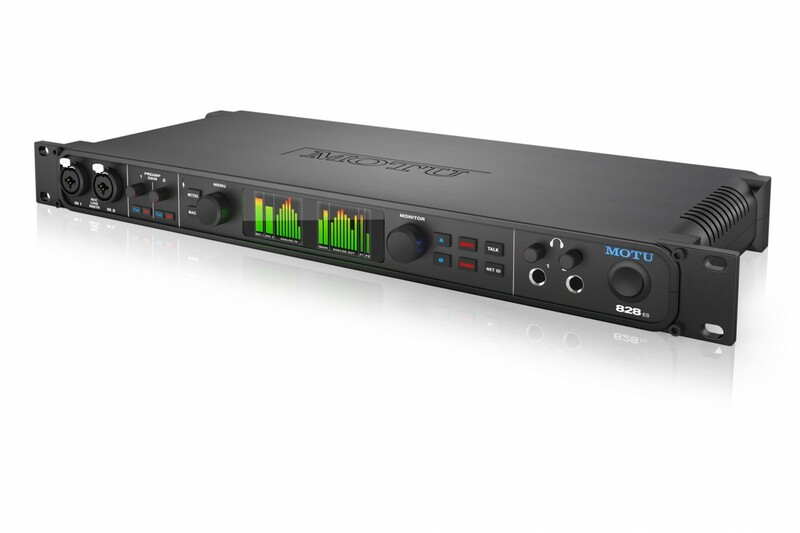 Through AVB/TSN Ethernet, connect another MOTU interface for more I/O — or connect to an expanded MOTU network with multiple interfaces and computers.